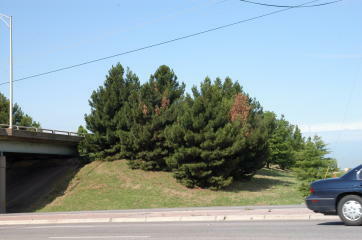 PROBLEMS: This tree is dying out in the eastern part of the state. Unfortunately the decline and death happens after the tree has reached some maturity. Root diseases start to hit and take the tree out rather quickly once the soil pathogens start to attack the root system. The problem can be abated with the use of whole ground cornmeal and the Sick Tree Treatment but Mother Nature is going to eventually get her way. 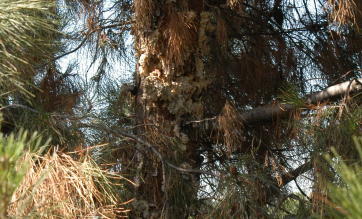 Eldarica pine is a desert tree – it is not adapted to high rainfall or irrigation areas.